Food: For optimum health, dogs need high-quality food. We feed our adult dogs Kirkland Super Premium Adult Dog Food. A pregnant or nursing mom receives Kirkland Super Premium Puppy Food. After weaning, we feed our puppies Kirkland Super Premium Puppy Food supplemented with puppy formula. Socialization: We strive to raise happy, confident dogs who love people. We begin socializing our puppies with the Bio Sensor Program when they are two days old. 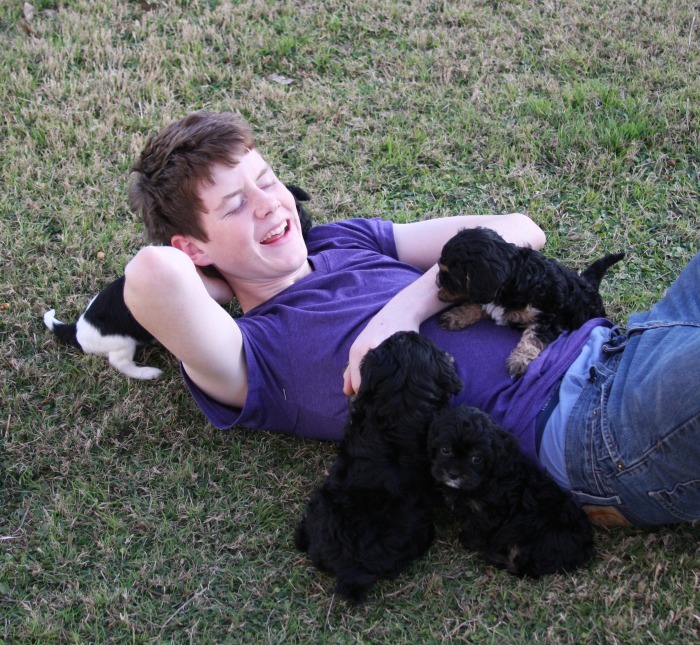 Then we hold every puppy every day and introduce them to the outdoors, water, other animals and people of all ages. 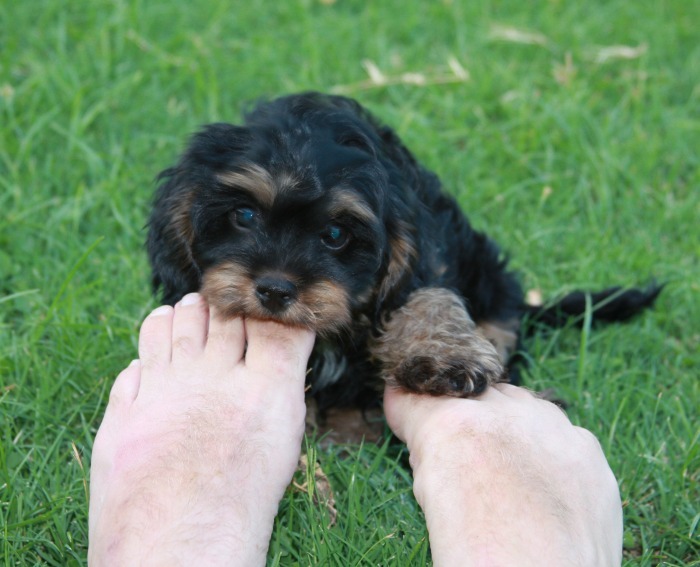 You can see the benefits of this socialization in our puppies' temperaments and their owners' comments. Vet Checks: Our adult dogs are vet checked regularly, and all our puppies are checked before we sell them. We do not breed adults who have health or temperament concerns, nor do we sell puppies that are not completely healthy. Vaccinations: We innoculate our puppies with Pfizer 5-way vaccine at 6 and 9 weeks. Our adult dogs are vaccinated annually. 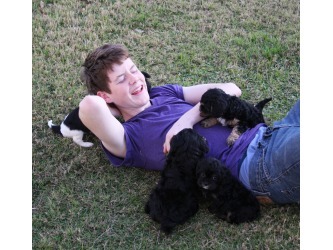 Worming: Our puppies are wormed at 2 and 4 weeks. Their moms are wormed at the same time. Dew Claws: For ease of grooming and reduced chance of injury, we remove dew claws when pups are 2 days old. Cropping: If generally accepted for the breed, our puppies have their tails docked at 2 days old. We do not crop their ears. 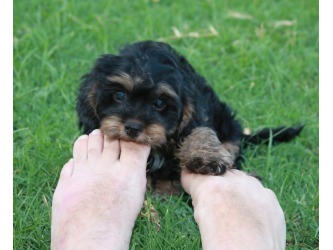 Nails and Grooming: We clip our puppies' nails weekly from the time they are born. We also groom our Schnauzer puppies in the traditional cut of their breed when they are 6 weeks old to prepare them for this kind of care throughout their lives. Schnoodle puppies are often left in a "puppy cut."